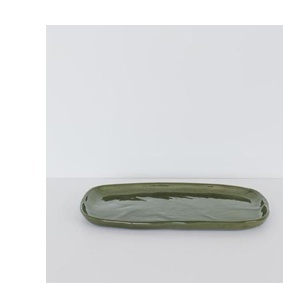 This handmade earthenware platter with a black pencil stripe pattern on sage green clay comes in a natural cotton bag and makes a great gift. Handcrafted in New Zealand. As these are handmade, each item is unique and will vary, which we think adds to the charm.